Replacement of the Anemostat existing MCV regulator with the RF-8 is easily accomplished in the field, typically within 60 minutes. 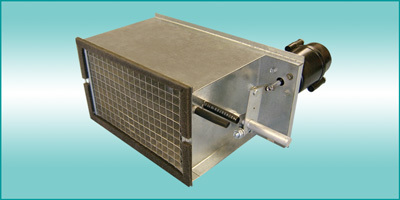 Replacement in Anemostat terminals is accomplished thru the large, bottom access panel of the existing air terminal without disturbing inlet or discharge duct connections. Pressure independent Pneumatic, Electronic Analog, or Direct Digital Control Packages are available to suit project requirements.